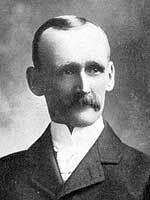 Born in Grey Township, Wellington County, Ontario on 15 May 1856, son of Richard Beamish and Mary Ann Reynolds, brother of William Beamish, he learned carpentry after leaving school. In 1880 he came to Winnipeg and worked for two years as a carpenter. When his father arrived in 1882 he accompanied him to the Hamiota district where they farmed 640 acres and raised livestock. On 14 March 1900, he married Jennie Armstrong. They had four sons: Hilliard Beamish, Lincoln Beamish, Douglas Beamish, and Richard Nelson Beamish. He attended the Methodist church and was a memberr of the IOOF. He served as a municipal councillor.